Lace up your running shoes for a good cause at the 17th Annual Run for the Rose 5K and Family 1K at NRG Park on Sunday, March 31, 2019. 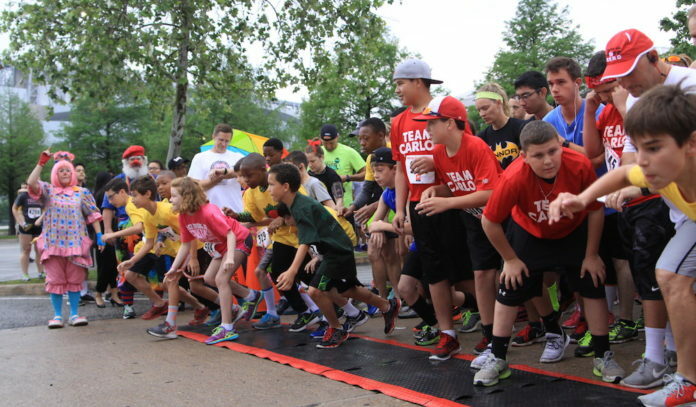 Adults, children, and families of all sizes are encouraged to line up for the 17th Annual Run for the Rose, helping to raise money and awareness for brain cancer research through The Dr. Marnie Rose Foundation. Whether you’re hoping for a first-place finish in the timed 5K event, a walk with your children for the Family 1K, or honoring those who met the challenge of brain cancer and survived, Run for the Rose makes for a generous way to spend your morning, while helping the Dr. Marnie Rose Foundation near its fundraising goal of $600,000. Run for the Rose kicks off with the Survivor Stroll, a celebration of those who beat brain cancer and is free for all brain cancer survivors. Following the opening of the festivities, participants of all ages are welcome to walk or run the 5K course, with a timed option that allows for registered male and female runners to compete for first, second, and third place among their age groups. All children 12 and under will also receive a finisher’s medal. Finally, the Family 1K event allows for families of all sizes to enjoy a leisurely pace around the 1K course, helping to close a morning of honoring survivors and fundraising for brain cancer research. Though, if you were really looking forward to sleeping in that morning, then you can also register as a Run for the Rose virtual runner for $35, which includes a personal fundraising page and an event t-shirt. Stick around after the event for a post-race party that includes live entertainment, delicious food, activities for children, and the awards presentation inside NRG Center. The Dr. Marnie Rose Foundation honors the life of Dr. Marnie Rose, a pediatric resident at Children’s Memorial Hermann Hospital who fought a rare form of brain cancer until her passing in 2002. Funds raised by the Dr. Marnie Rose Foundation helps to support brain cancer research at The University of Texas MD Anderson Cancer Center, pediatric health initiatives at Children’s Memorial Hermann Hospital, and the Dr. Marnie Rose Professorship in Pediatric Neurosurgery at McGovern Medical School at UTHealth. Registration: Registration for the 5K is $35 (timed) and $30 (non-timed) for adults; $20 (timed) and $15 (non-timed) for children ages 3 to 12. Discounted registration available until March 27. Click here to register. This post was sponsored by the Dr. Marnie Rose Foundation. 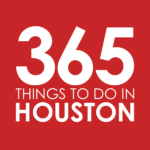 Per our advertising policy, we only accept sponsored content from businesses that meet our editorial standards and truly present a valuable activity, resource, or destination for Houstonians and Houston visitors. Click here to learn about promoting your event, product or business.